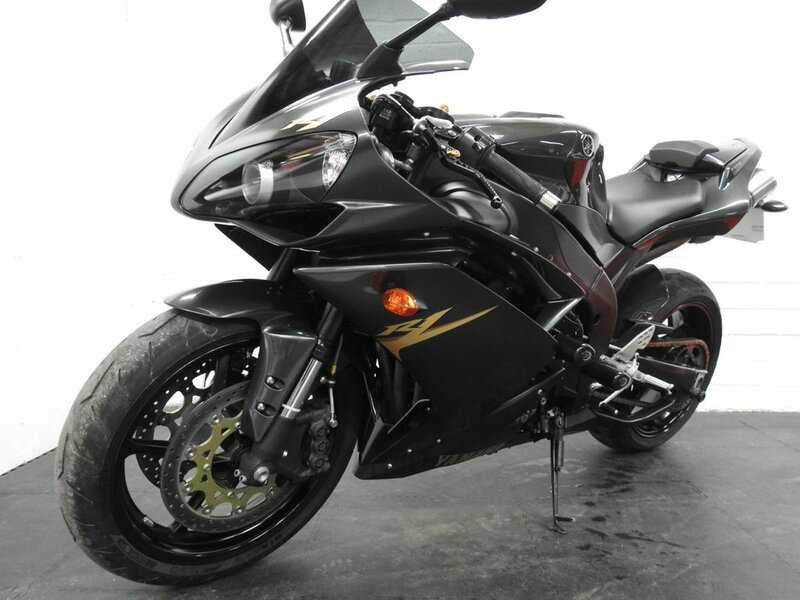 Yamaha R1 (last of the screamer), only 10500 miles form new, all keys including the important red key! lots of extras including Akropovic exhausts, Akro Carbon exhaust shields, Akro Carbon tank cover, Akro Carbon rear hugger, plus much more, Pazo leavers, tinted screen, Crash bungs. Very nice bike! sold with a 1 year MOT. Nationwide delivery available. Finance Available! Most credit / debit cards accepted! HPI checked. For full information or to arrange a viewing, please call 01344 887007. FINANCE SPECIALISTS / PART EXCHANGE WELCOME / WARRANTY AVAILABLE / CREDIT AND DEBIT CARDS ACCEPTED / DELIVERY POSSIBLE. To arrange a viewing or to discuss your options further, please feel free to contact us on 01344 887 007 or 07506 105 058 Rideworx specialise in motorcycle sales and finance. We also offer full workshop and diagnostic facilities for all your service needs.